Albufeira is one of the leading tourist resorts of the Algarve. Facilities include a marina, golf courses plus innumerable hotels, apartment blocks, restaurants and bars, for the annual flood of visitors. 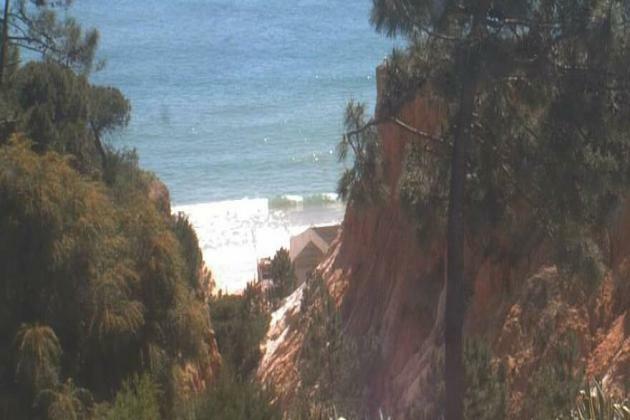 Webcam of the Hotel Meridien near Praia da Falésia in Albufeira standing proudly on a cliff-top surrounded by pine trees and overlooking unspoiled beaches edging the clear, blue sea.